About the Story: Godric St. Laurent, the twelfth Duke of Essex, was indeed a rogue. We find him at the outset of the story abducting an innocent on the way to her friend’s home. And not just he participated in this mad scheme, but the rest of the League of Rogues all aided him in this adventure. And why to kidnap the niece of Albert Parr you ask? Albert Parr was a conniving businessman and had taken money from Godric for a non-existent property. Godric wanted his money back and what better way than to kidnap his niece? However, Albert was highly indebted to his partner Mr. Blankenship, a rather mad man who had designs on his niece Emily Parr, and proposed removing Albert’s debt for ownership of Emily Parr. Emily, after living with her uncle for a year, immediately after the passing of her beloved parents, found she must escape her uncle and his lecherous business partner. All she needed to do was find a nice, suitable man to marry, but when she was kidnapped by Godric S. Laurent she knew that her reputation would be ruined. She also hadn’t counted on finding him very attractive. She dared only admit to herself that she actually liked her prison guards, the League of Rogues. Nevertheless, she took every opportunity she could to outwit, and outsmart them so she could escape. Godric also didn’t expect to just ruin her reputation by kidnapping, but found he really wanted to ruin her. He, too, found her attractive in all her innocence. But Godric’s flaws were many and well he knew them. He ruins everything he touches. He would never be good enough for a creature such as Emily. He was as badly flawed as his father. My Thoughts: I love to catch a series at the beginning. Lauren Smith wrote a marvelously plotted story which entertained long after the last page was reached. She spends considerable time getting us familiar with each of the four other in the League of Rogues. We learn League Rule four: “When seducing a lady, any member of the League may pursue her until she has declared her interest in a particular member, and at such time, all pursuits of the lady by others must cease.” Each of the rogues were slightly embarrassed by this kidnapping, but loyal to the last, they did it for Godric. When they saw Emily Parr was such a delightful person they tried to make it up to her by being excessively kind. A kind of friendship was borne. They were there to protect Emily, even from themselves. Each had such different personality and each was fiercely loyal to the other. They really added a lot to the story, including much of the humor. And I just know that each of the four will have a story just as delicious as this one. The dialog kept me chuckling with lots of tongue-in-cheek remarks. Emily was an extremely well read and educated young woman of her time and her cleverness, even her attempts at escape are really very daring. Godric is an unusual man and finds this combination in Emily very alluring. And when he thinks he’s figured her out, he is surprised again. And of course, being the rogue he is, he challenges himself – she would share his bed. She does, but not in the way he imagined. The pairing of our hero and heroine makes a better man of Godric. He learns through love, though he won’t even think the word, he wants to be Emily’s everything, yet he doesn’t want to be her captive. For he knows that people he loved had either left him or betrayed him. He needed Emily too much to let that happen. He sets out to captivate her and in turn he is caught in her web. Emily realizes she’s fallen in love with Godric, and she is sure she’ll lose her heart for he is not but a rogue. This was a lovely read all around. Quick-paced and jolly well funny. I would recommend the book and the series to any reader of romance who enjoys humor in her reads and relishes quick-witted heroines dragged kicking to a happily ever after ending. Over the years, Lauren’s studies have opened doors throughout the world. From spending two summers at Cambridge to attending classes at such divergent places as Ireland and Chengdu, China, she has discovered fascinating opportunities for enrichment wherever she goes. 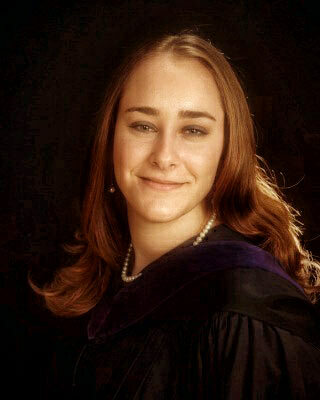 After completing college, Lauren moved to Michigan to attend law school at the University of Detroit-Mercy and University of Windsor in Ontario, Canada. Armed with two Juris Doctorate degrees from both countries, she returned to Tulsa and became an intellectual property attorney. 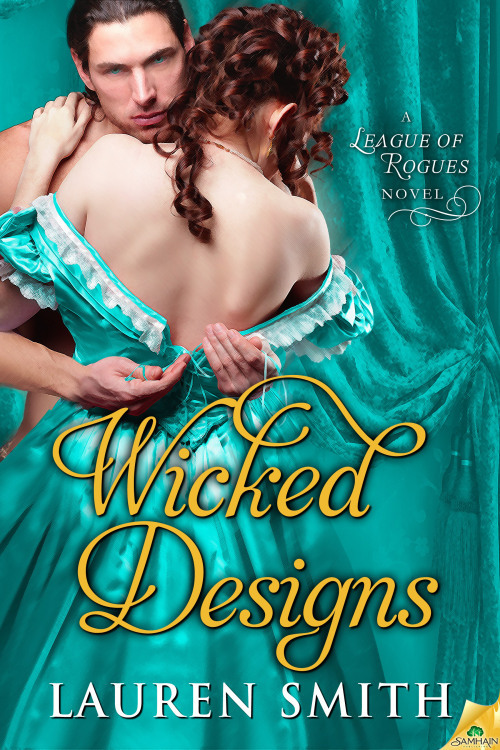 This entry was posted in Book Reviews, Historical Romance, Romance, Women's Fiction and tagged Book Review, Historical Regency Romance, Lauren Smith, The League of Rogues Series, Wicked Designs. Bookmark the permalink.